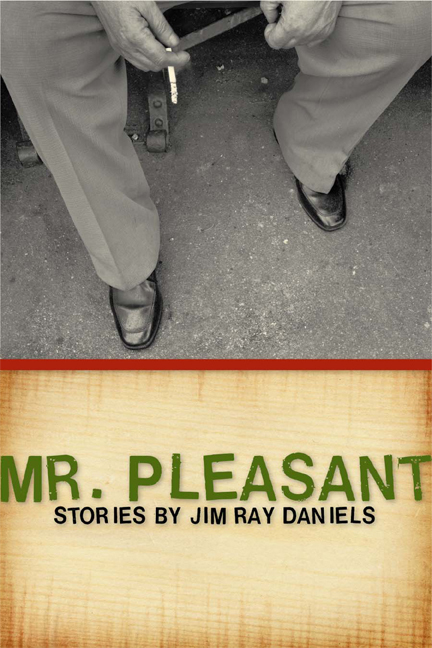 In this collection of powerful and deeply humane short stories, Jim Ray Daniels' characters struggle to find themselves in a society that has cast them aside. As they make their way under the permanently gray skies of Michigan's lower peninsula, they try to come to terms with their lives, searching for a pleasant place, for someone who will love them or will simply make them feel safe. These are characters who have to come to terms with disappointment. In "United States Street Football," the accidental death of a young boy must be accepted and his friends must learn to forgive the role model who was responsible for the death. "Short Season" is a poignant account of a woman, dying of breast cancer, who realizes that her husband will not support her when she needs him the most. "Closing Costs" pulls back the curtains on an unhappy marriage, revealing a couple unable to make their new house a home, unable to even unpack. The eleven stories in Mr. Pleasant, the latest offering from the author of the award- winning Detroit Tales, are bleak, funny, and bittersweet— sometimes all at once. They are unified by the author's attention to the emotional details of his characters’ lives. Even among friends and family these characters, in the end, are alone in the world. Bewildered by their lives, they get lost, they retrace their steps, and they start over, catching brief glimpses of who they once were or could have been. Daniels addresses the grandest of themes—love, loneliness, and loss—in settings without an iota of grandeur. For us as readers, these stories open doors, allowing us to enter the worlds of people who are weighed down by their lives, trying to get by, day to day; and the true reality is, we are honored to make their acquaintance. "The stories in Mr. Pleasant chronicle the unavoidable losses of youth and second chances of middle age with warmth and humor. Jim Daniels knows the price of our mistakes, and our defeats and victories, and how much hope we spend trying to redeem our failures."